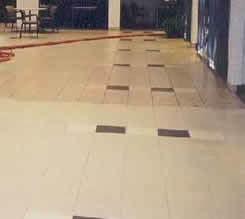 We provide professional Ceramic tile cleaning services for Australian Homes and Businesses. 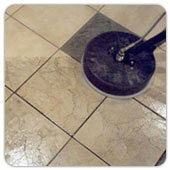 Tile Cleaners Pty Ltd is Australia's leading tile care specialist. We are your specialist service for tile & grout cleaning, tile sealing, tile stripping & sealing, tile regrouting, grout color sealing, and minor tile repairs. If you need advice on cleaning & sealing your old or brand new floors, or need a professional to do it for you, then you have come to the right place. 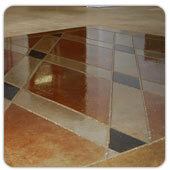 Tile Cleaners ® is Australia's premier tile and grout cleaning company. 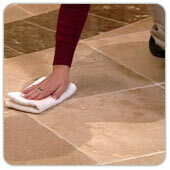 Cleaning dirty Ceramic tile and grout has become a huge issue over the past few years. 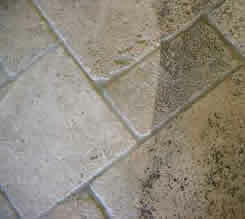 Shop bought tile and grout cleaners often prove ineffective at cleaning dirty grout. 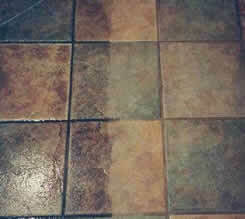 Grout lines in particular tend to discolour and can also become mouldy very quickly. By combining emulsification, heat, pressure and vacuum, we have created a formidable tile and grout cleaning system for all types of Ceramic tiles. 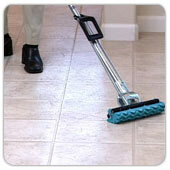 Tile and grout cleaning is just one application. However this innovative process not only cleans tile and grout but it lends itself to a whole range of hard surface cleaning, including non-slip safety flooring, natural stone and man made tiles. By using our bespoke cleaning technology we can return Ceramic tiles and dirty grout lines to as good as new. In addition to cleaning Ceramic tiled floors in residential properties we at Clean Tile and Grout Ltd deep clean changing rooms, swimming pool surrounds and office toilets. Where appropriate we can also install our unique non etching anti slip treatment. The products we use to clean your ceramic tiles and grout vary depending on the type of the job, type of property, size of job, and requirements, and are all quality tile care products, which help us give you brilliant results. 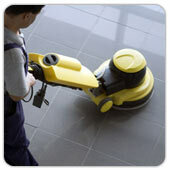 Using the state-of-the-art technology, our unique cleaning method tackles even the most difficult problem floors. Our machines can handle both domestic and commercial cleaning jobs, leaving your floors spotless and hygienic. We utilise the world's best equipment with unique wash, scrub and dry technology. Using less water and detergents than other cleaning methods. The problem is the cementatious lime based grout easily absorbs moisture, oils and sugars that in turn attract bacteria, dirt and other solids that change the overall appearance by darkening the grout. 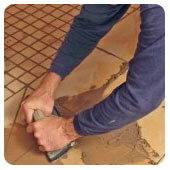 Grout performs an important role in the tiling process. Not only does it provide a functional role, but it can aesthetically enhance your tiling project by highlighting features, or the tiles themselves. 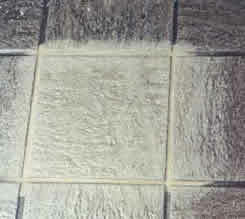 Grout comes in many colours;	however, as grout is porous it tends to become dull or get dirty over time. Grout sealing has never been easier, with grout sealers now available in cans and pump packs. These grout sealers are endorsed by Tile Cleaners ® and they are water-based, non toxic and non flammable, so they are easier to use and apply. 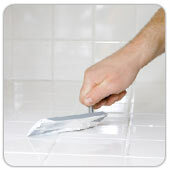 We always recommend sealing grout lines between glazed and polished ceramic tiles. TileCleaners's Grout Sealing Process Protects Your Grout Lines For Years To Come. We Have A Revolutionary Tile & Grout Cleaning Process That Makes Your Grout Lines Stain Resistant, Waterproof And Sanitary For Years Comes.